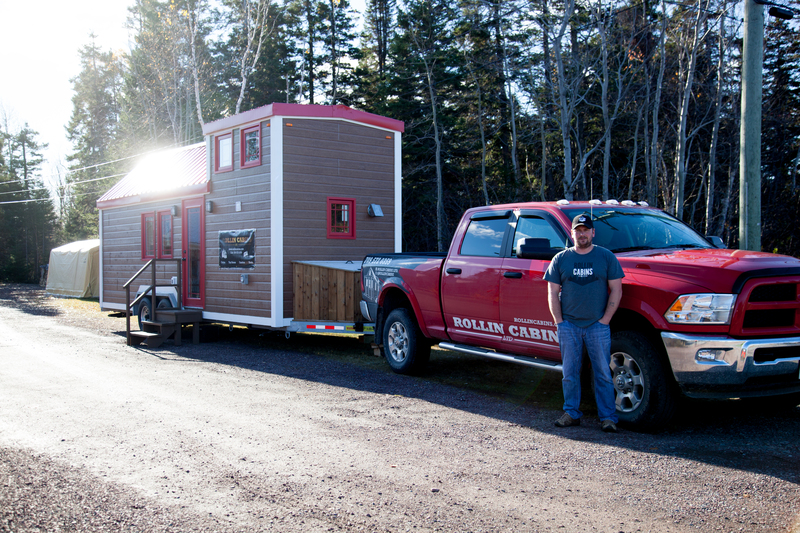 Accueil / Rollin Cabins Ltd.
Sean & Sherry Mercer are a husband and wife team who own Rollin Cabins Ltd, a local company who manufactures custom tiny homes and cabins for efficient living on and off grid. Each cabin is custom made for the buyer to whatever specifications requested. These cabins are great for snowmobiling camps, or to have next to your favorite lake in the summer time! Or if you really love the great outdoors they function as a full time home. “My advice for anyone with the entrepreneurial spirit is; be hard working, be persistent, don’t listen to naysayers, and follow your dream because you CAN do it” – Sean.